Jeffersonville Branch Library was the place to be for Aaron’s STEM program: Building a R3PTAR from a specialty LEGO set. Shown here in the picture are Lilly, Aaron and Holly with their creation: the R3PTAR. 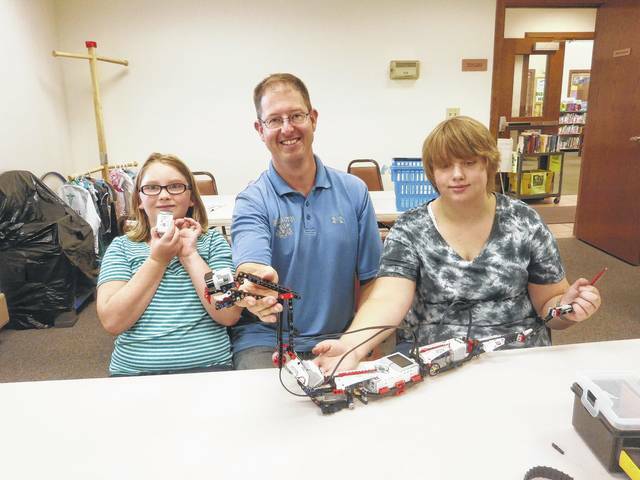 https://www.recordherald.com/wp-content/uploads/sites/27/2017/07/web1_aarons-lego-r3ptar-program.jpgJeffersonville Branch Library was the place to be for Aaron’s STEM program: Building a R3PTAR from a specialty LEGO set. Shown here in the picture are Lilly, Aaron and Holly with their creation: the R3PTAR.